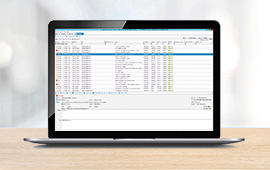 Monitor, manage and troubleshoot your network’s performance with software from leading brands such as VMware, Cisco, IBM and Paessler. Set up device emulators with ease, thanks to our emulation software from leading brands such as Attachmate, IBM and Microsoft. Keep track of your organization’s assets from acquisition through disposal with software from leading brands such as Snow, ivanti and Novell. Not sure what management license you need? Management Software. Orchestrated by CDW. A business has so many moving parts and keeping everything up and running at full volume is a Herculean feat. Networks, assets, documents, deployments, migrations, help desks and so much more are a daily part of life. It can get confusing, but CDW offers software that helps you troubleshoot, set up processes and keep track of everything so your business can grow and thrive. 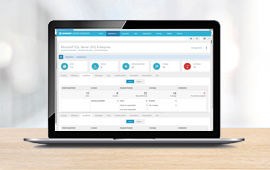 On the technical side, you can use network management software to monitor and troubleshoot network performance or implement help desk software to track issues and create tickets to ensure user problems are quickly and efficiently resolved. Asset management software allows you to track every asset from creation through end of life retirement to ensure that you know every single item that your company has acquired. It's hard to decide between types of software. CDW is here to help. 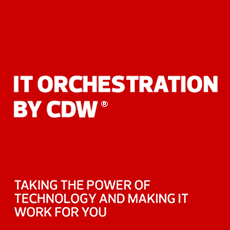 Offering software from trusted brands such as Microsoft, Cisco and IBM, CDW sets you up with what your business requires. Oversee all aspects of your software licenses with software asset management solutions, or ask software licensing questions.